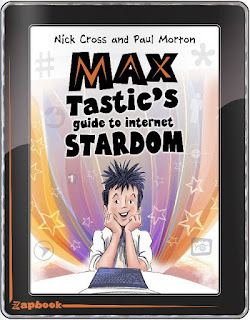 I recently collaborated with SCBWI illustrator Paul Morton on a highly-illustrated middle grade book called Max Tastic’s Guide to Internet Stardom. It’s the first time I’ve worked directly with an illustrator on a project, and it’s been a great creative experience for both of us. Because we live 160 miles away from each other, we do most everything via email, and writing this article was no exception. So first, Paul tells his side of the story and then you get to hear mine. Enjoy! We all like a good story, and there are few better pleasures than reading or listening to a rip-roaring and riveting tale. Rub the magic lantern of the book in your hand, and characters and places swirl into life before us. I often wonder if it's slightly different though for an illustrator when seeing these phantom characters emerge - whilst wallowing in the deliciousness of the journey, at the same time you are always imagining bringing them to life through drawing. Have I imagined the scene from the best 'camera angle'? What exactly does the main character look like from above? 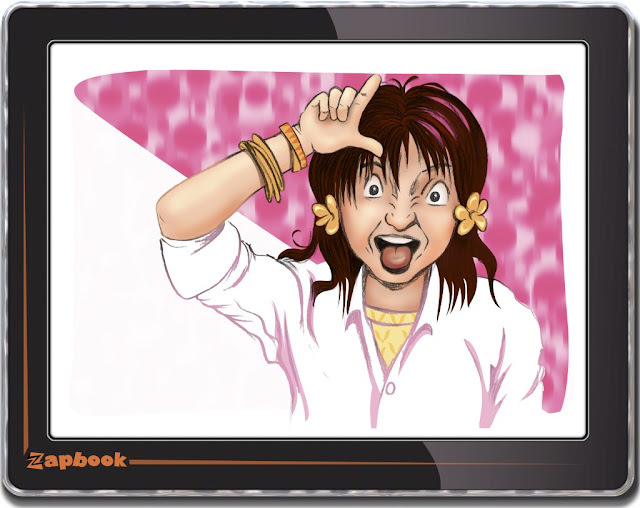 And, if I'm reading and picturing her being ecstatic, how would I draw her in abject misery? The writer paints pictures with words and the best (picture book) writers leave a breathing space for illustrations to extend the descriptions. At last year's picture book retreat, one of the SCBWI writers was wondering out loud about this over breakfast. Following an intensive sketching session the previous afternoon - with the emphasis on 'really observing' our surroundings - she asked if "you illustrators and artists are always exhausted? I never realised before, but you must always be switched on and seeing things from the potential of drawing them." This seemed like a pleasant compliment to me and I answered in the affirmative, saying that it had become totally second nature, no longer something that took any extra effort. I can imagine it's a bit like being bilingual - listening to a conversation in one language whilst being able to translate simultaneously in your head. All this conjecture is leading me to confront what happens when it's not MY story that I'm bringing to life, not the book I'm reading for pleasure, nor the radio play I'm listening to. It's when I've been invited to give visual life to a friend's precious story by working in collaboration with a fellow SCBWI colleague. 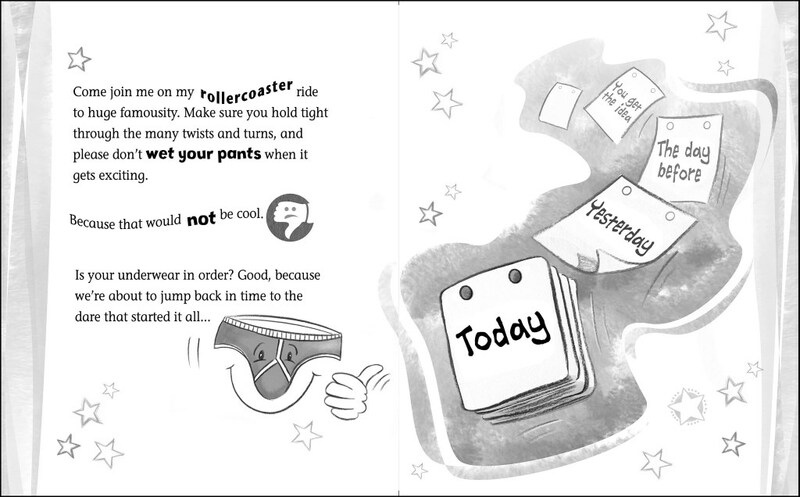 I've been asked to illustrate other people's texts before and have in fact worked on one other SCBWI member's book - Helen Bonney's wonderful Wally Woppapotamus! It was the strength of Wally's character that appealed to me then, and similarly, when Nick Cross eventually sent me the first few chapters of the incredible Max Tastic, I was hooked. I say 'eventually', because Nick first approached me and suggested that we do 'something' together, but didn't know exactly what. We swapped various ideas back and forth until the just-about-complete idea for his colourful MG escapade featuring the exuberant Max Tastic swept into my in tray. 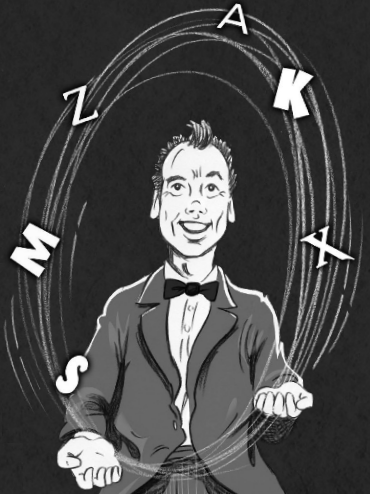 Max had a captivating cast of friends and foes, including a dynamic sidekick in the futuristic shape of a sentient digital assistant called Zanthea. Nick would upload the first few chapters of the story which I'd print out on A4 sheets. 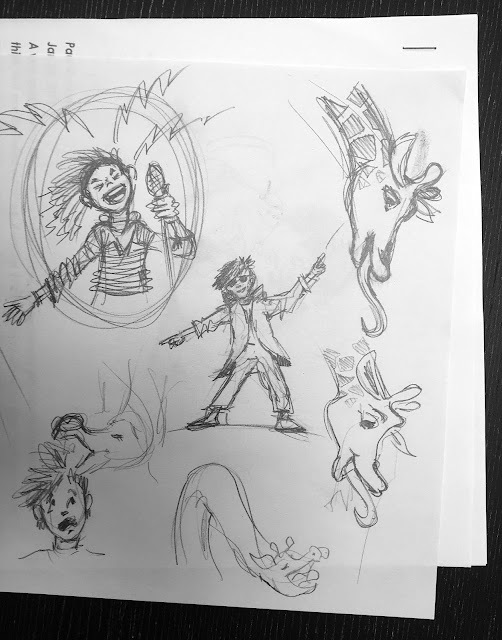 As I read and laughed out loud at the story, I'd sketch thumbnail scenes and characters along the margins. These were the first images that sprang to my mind and quite often survived through into the final dummy book. Nick is very generous with his feedback and reacted (almost always) favourably to how I’d depicted his characters. I wouldn't go as far as describe us as ‘symbiotic,’ but it was satisfying to see our ideas and suggestions ricocheting around until they hit a mutually acceptable target. 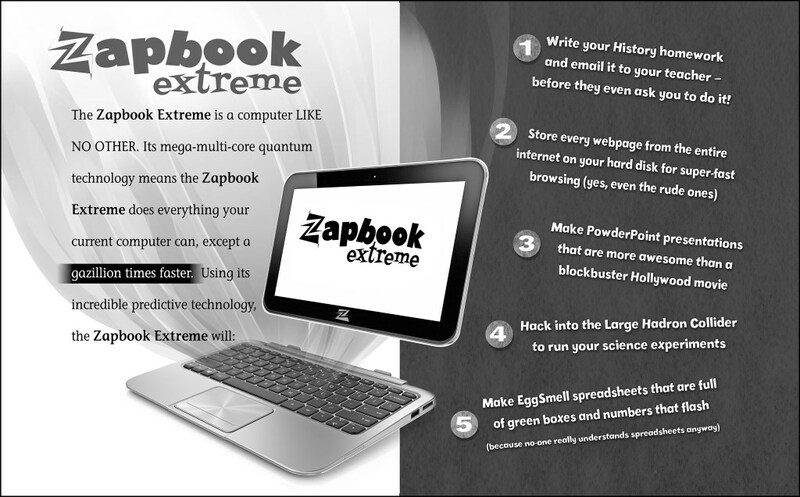 Because so much of the plot revolves around Max's incredible and powerful new Zapbook computer, it felt right to try and visualise the story on such a tablet-like screen. This idea chimed with Nick as he'd been investigating how to present the book in digital episodic formats. To make our non-synchronised communication easier, we shared documents and sketches on a couple of cloud platforms - notably PBworks, Picasaweb and then ISSUU. We also have Skyped a few times when longer discussion seemed the best way to make the next move forward. And of course have met at the SCBWI conference, but then everyone will know how limited free time can be at such events! 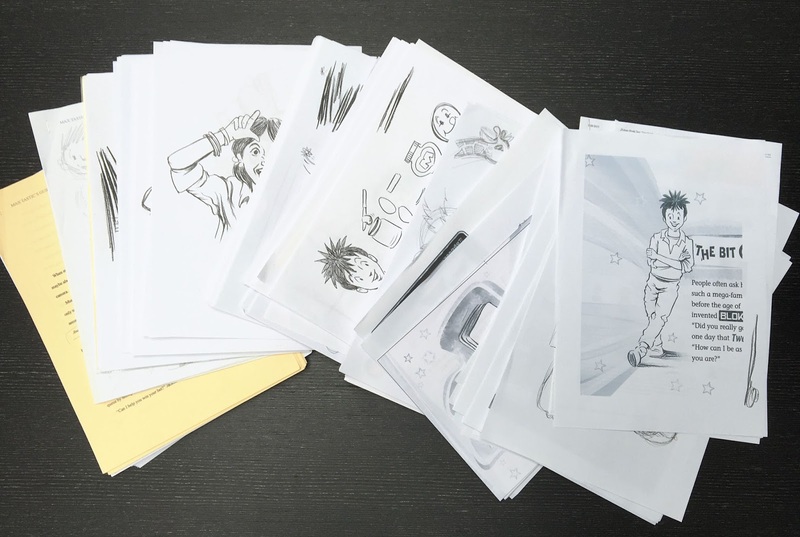 From piles of sketches and the completed manuscript, we arrived at an illustrated, but pared down, version of the first few chapters for submitting as a book dummy. It’s designed in the shape of a mini laptop or tablet device and Max is currently out and about seeking feedback at a number of agents. It feels like we never got enough time to put as much effort into the collaboration as I would have liked. I think Nick feels the same, but hopefully once we get our joint passion for Max returned by an agent or publisher, we can really make him take off and conquer the world. Writing can be a lonely business. I had tried collaborating with another writer, but although we came up with a load of ideas, our differing styles never quite seemed to gel. I’m also a bit of a control freak when it comes to words, which probably didn’t help! 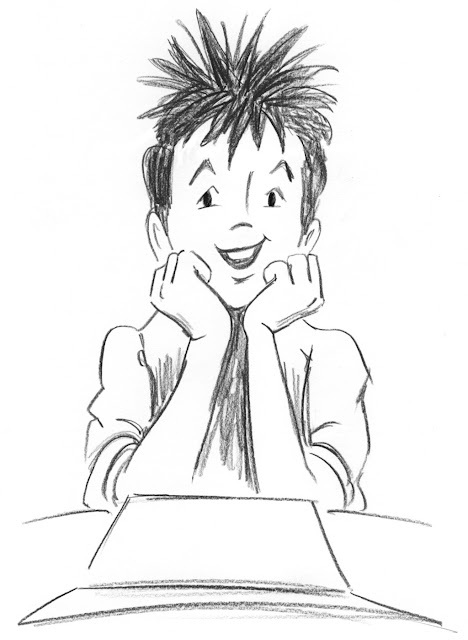 But the fact that my books had been getting shorter and more light-hearted meant that collaborating with an illustrator seemed a more natural fit. However, I didn’t do much about this idea until after a chat with fellow writer Nick Cook. He said: “You should team up with Paul Morton. 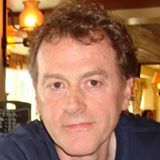 He’d be a great person to work with.” It was a brilliant suggestion that seems obvious in retrospect - I had met Paul a few times at SCBWI events, and knew he understood both children's illustration and the digital side that I was hoping to explore. So I sent him a tentative email and things started moving. Then stopped. Then started again. Then... (you get the idea). The problem wasn’t that Paul didn’t want to collaborate with me. The problem was that Paul is far too good at his day job, which is commercial design. 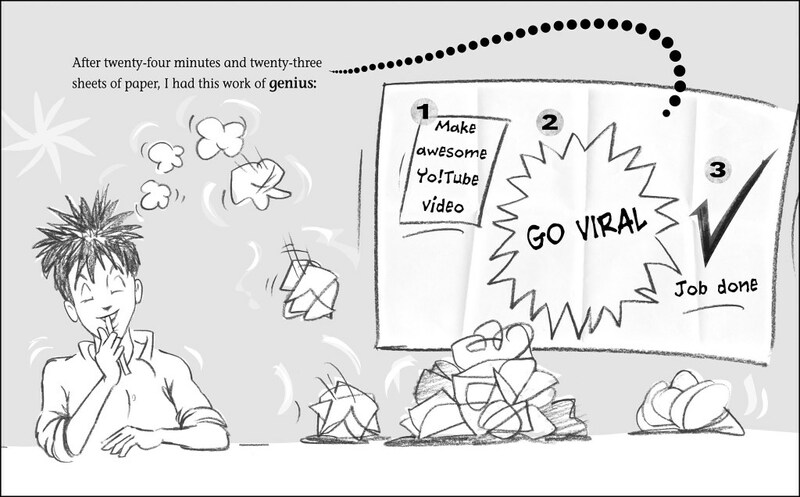 As a freelancer, he has to grab every opportunity that comes his way, and I quite understood that meant putting our collaboration on the back burner, especially as its earning prospects were (and continue to be) uncertain. Luckily for me, after designing beer labels, cereal boxes and a number of Disney board games, Paul eventually had a gap in his schedule. 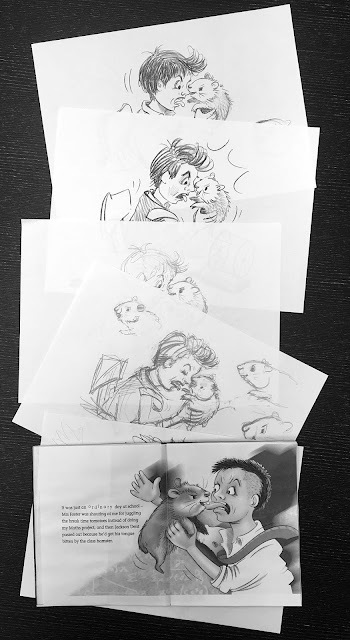 When he works on a project, Paul likes to really get his teeth into it, and I was amazed by how quickly he created illustrations of Max and the other main characters. I have a very weak visual imagination, which means that I literally don’t know what my characters look like. This actually worked strongly in our favour, because I had no predefined context to clash with Paul’s interpretation of the key players. Of course, he’s also very skilled at visual characterisation, which doesn’t hurt! Seeing my characters brought to life was a rewarding and fascinating experience. The main area in which I was able to give helpful feedback on the illustrations and layouts, was in the telling of the story. 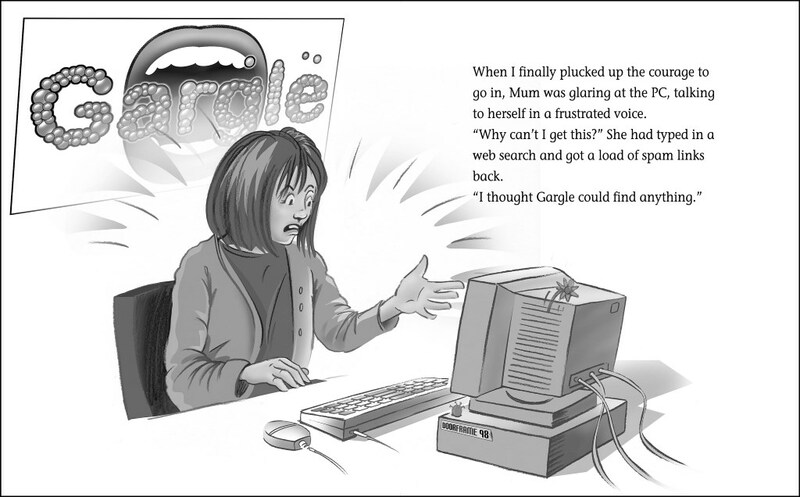 For instance, I wanted the illustrations to complement the jokes and not to undercut them. There's an unconscious tendency for both writer and illustrator to "claim" a joke as their own, but a good partnership gives equal weight to both. I was also keen to make sure that the flow of the book was very clear to the reader, and we spent a lot of time on certain layouts to make sure the reader’s eye tracked across the page in the right way. A number of people have told me that I’m making life harder for myself by teaming up with an illustrator before publication. And I suppose they have a point, but I also haven’t got anywhere with the last four books I’ve written entirely on my own! 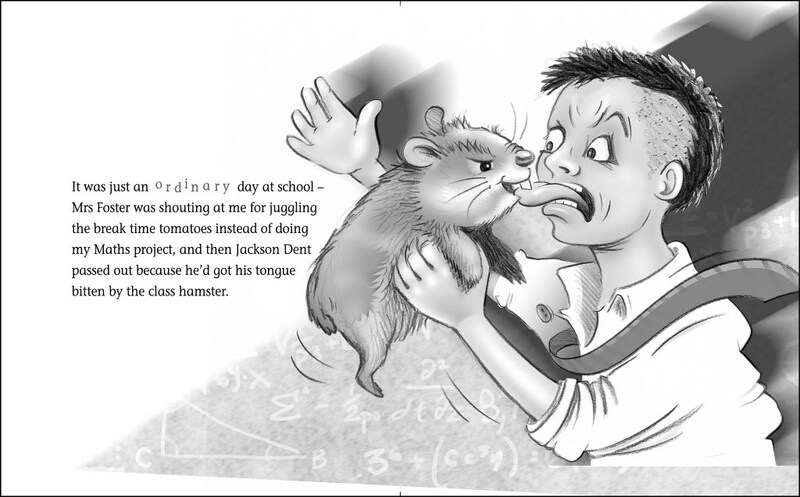 One agent did ask if we’d consider submitting the text without the illustrations, but I’m not keen on that option. 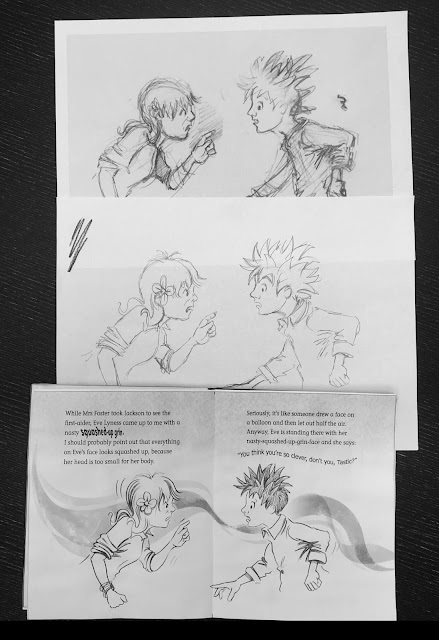 Although the text was initially written separately from the illustrations, the two now feel like one inseparable whole to me. Max can't conquer the world on his own and neither can I! 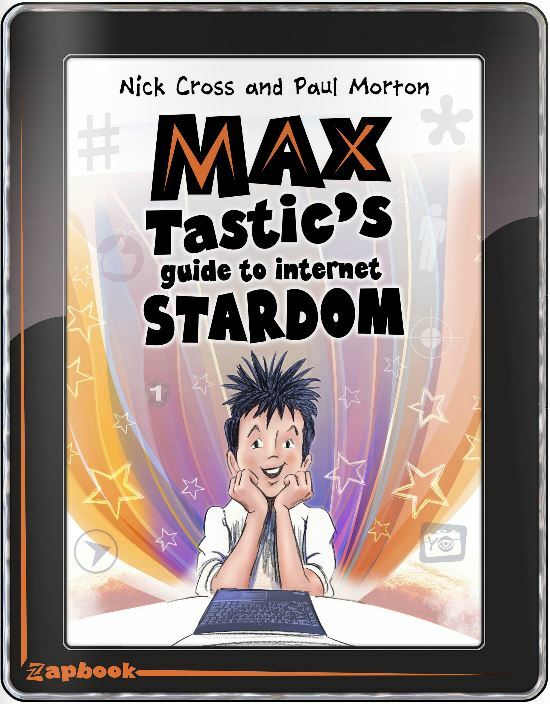 Max Tastic’s Guide to Internet Stardom is an illustrated middle grade humour novel – Dennis the Menace for the YouTube generation. Brimming with crazy humour and anarchic action, the book charts Max’s attempt to reach one million hits on the internet before his nemesis Eve Lyness can outdo him. Armed with a superfast, self-aware laptop and the dubious skills of his friend Jackson Dent, Max is hell-bent on becoming the most famous boy in the world. Because then, his dad might finally notice him. The book is currently seeking a publisher - please with any enquiries. 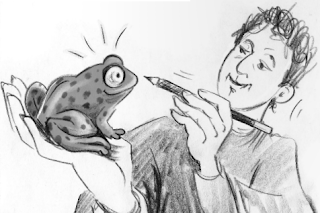 Paul Morton has been creating illustrative illusions and making magical marks for over 25 years, running his Hot Frog Graphics studio. An active member of SCBWI, Paul is proud to have illustrated three children's books that were published in 2015: The Birthday That Went with a Bang, See You at the Waterhole and Race to the Little Red Barn. 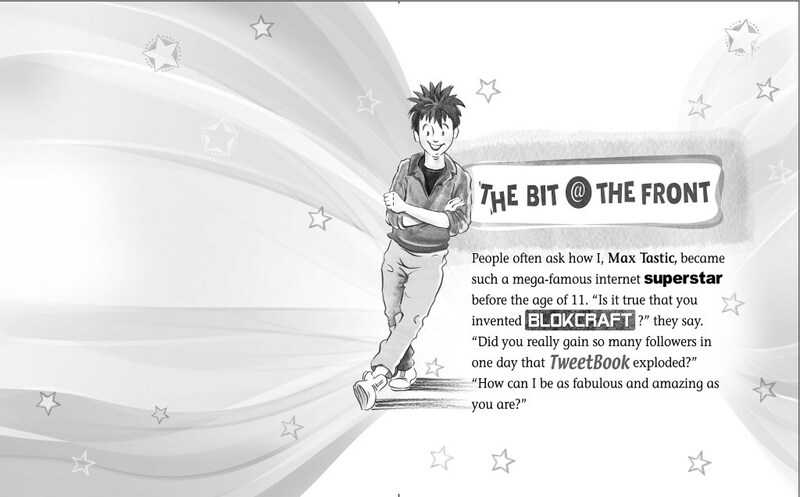 I'm really pleased that Max is now a book. Sounds great! Just Brilliant, Nick and Paul! Really interesting to read about about your process, together and singly. Love everything about Max.